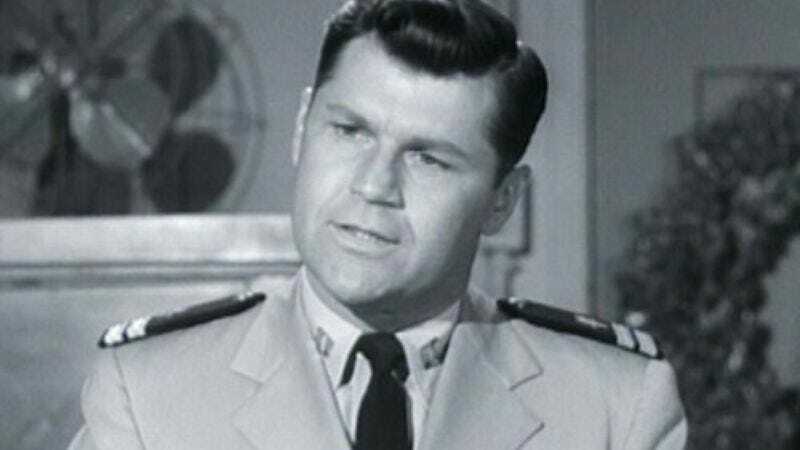 Bob Hastings, an actor whose career in radio and TV spanned more than 60 years, has died. He was 89. Hastings had a regular role as Lt. Carpenter on the sitcom McHale’s Navy, and a recurring role as one of Archie Bunker’s buddies on All In The Family. But he was probably most familiar to younger audiences for his voice work, which happened to encompass several of the most famous comic-book characters of all time. Hastings’ experience with voiceover stretched back to his first steady job on radio, when he played everybody’s favorite teenage redhead, Archie Andrews, from 1945 to 1953. Almost 40 years later, he provided the voice of Commissioner Gordon on several different TV cartoons and video games, starting in 1992 with Batman: The Animated Series. Hastings first made the leap to television in 1949, when he appeared on the early cult hit Captain Video And His Video Rangers. He soon became a familiar face in guest shots on many series, including multiple appearances on The Phil Silvers Show, Dennis The Menace, Green Acres, Adam-12, and Ironside. He also provided the voice of a raven on The Munsters, and in 1966, broke into the DC Universe by voicing the young Clark Kent in ”The Adventures Of Superboy,” a series of six-minute cartoons that aired as part of such TV series as The New Adventures Of Superman, The Superman/Aquaman Hour Of Adventure, and The Batman/Superman Hour. In the 1970s, Hastings was part of the voice talent on Challenge Of The SuperFriends and The Amazing Spider-Man. He also turned up in a few movie roles, perhaps most notably as the emcee in The Poseidon Adventure (1972). Hastings began voicing Commissioner Gordon with the launch of the 1992 TV series and its 1993 theatrical feature spin-off, Mask Of The Phantasm. (Fifteen years earlier, he had made a guest appearance on an episode of the live-action Batman series starring Adam West.) He reprised the role several times in TV movies, games such as Batman: Vengeance and Rise Of Sin Tzu, and the animated series Superman, The New Batman Adventures, and Gotham Girls. He was last heard voicing a judge in the 2010 video game Mafia II.